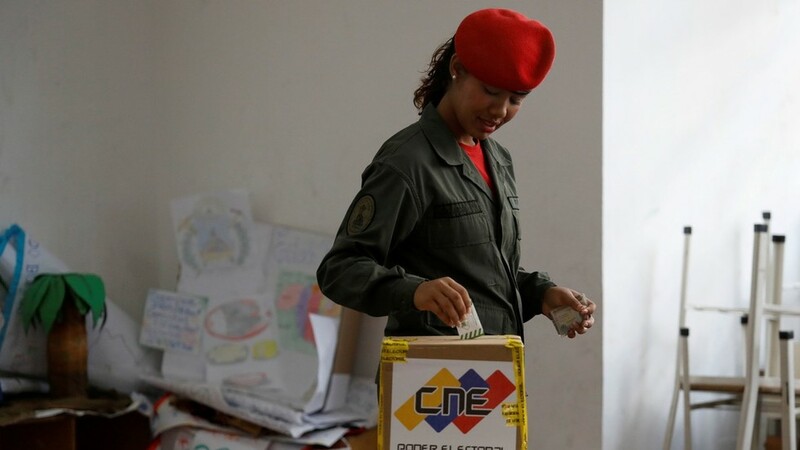 President Nicolas Maduro has rejected an ultimatum issued by Europe which called for new elections in Venezuela within 8 days, saying instead that the next presidential elections will be held in 2025. Germany, France and Spain said that they would recognize the self-proclaimed president of Venezuela unless new elections are held – but Maduro has stressed that Europe has no right to make such demands, telling RIA Novosti that the next elections will take place in 2025. In a statement, French President Emmanuel Macron said that the Venezuelan people “must be able to freely decide their future. Without elections announced in 8 days, we could recognize [Guaido] as ‘interim president’ of Venezuela to launch this political process.” Nearly identical messages were released by Germany and Spain. Juan Guaido proclaimed himself “interim president” of Venezuela last week, swiftly receiving strong support from Washington and its allies. Guaido has been barred from leaving the country until an investigation into “serious crimes that threaten the constitutional order” is completed.